Clifton Supply Co., a great source for supplies since 1969. | Clifton Supply Co.
L.G. Clifton began this company as a sales representative for drilling rig supplies. Standco brake blocks and Woolley Tool & Manufacturing were the two initial product lines for Clifton Supply. L.G. and Ned Woolley had grown to become friends over the years. Ned offered the Woolley Tool line to L.G. in the Wichita Falls and Texas Panhandle areas. Living in Wichita Falls, Texas at the time, L.G. began calling on the Texas Panhandle region. Within just a few months, Leonard Hudson, and L.G. became friends. Leonard was the President of Leonard Hudson Drilling Company and asked L.G. if he would take care of all his rigs. After contemplating, L.G. moved his family to Pampa and relocated Clifton Supply Co.
After working with his father since the late 70’s, Shawn had grown up in the supply business. In 1985, L.G. purchased the assets of a bankrupt oilfield supply company named M & D Supply which was located in Pampa. That was a pivital point for Clifton Supply. Our product lines were vastly expanded and we began carrying production and well service supplies. Shawn returned home from college and help get the newly expanded business off the ground. L.G. decided to partially retire in 1991 after recovering from a massive heart attack he suffered in 1990. It was at this time, Shawn felt the need to alter the vision of the company in order to diversify the customer base and increase the life of the company. L.G. was in agreement with the changes and enjoyed seeing the expansion efforts. Therefore, Clifton Supply opened a repair facility which included repairing power tongs, slips, cylinders, engines, natural gas compressors and safety relief valves. After a long fought battle with congestive heart failure, L.G. passed away in on December 29, 2004. He was the type of man that treated everyone the same, regardless of position. He enjoyed spending time at the office and visiting with the customers that would frequent the door. After being located on South Cuyler in Pampa since 1969, the store was moved to a newly renovated location at 700 South Price Road in October 2007. Previously, J.C. Daniels built this building specifically to house his well established car collection which specialized in Lincoln Continentals. After J.C.’s passing, his kids were kind enough to allow Shawn’s family to purchase the building that J.C. so caringly built for his prized collection. His most notable Lincoln was the very car Vice President Lyndon Baines Johnson was riding in when President Kennedy was assasinated. As Clifton Supply continues to grow and expand our reach, there are certain aspects of our company that will always remain the same…We will conduct business in a honest manner; service our customers to the best of our ability; carry quality products; treat our customer, fellow employees and vendors with respect; and pay our bills. We enjoy doing business with a hand shake and appreciate when we can take a man’s word. It’s not fancy, but it is who we are. Today, Clifton Supply continues to look for opportunities to expand their product and customer horizons. Our main goal continues to be focused on slow steady growth in order to maintain the integrity of customer service and the successful mechanics that have been painstakingly put in place. We are continually reminded that success is not always measured by the dollars generated, but by the relationships made throughout life and how we help others less fortunate than ourselves. 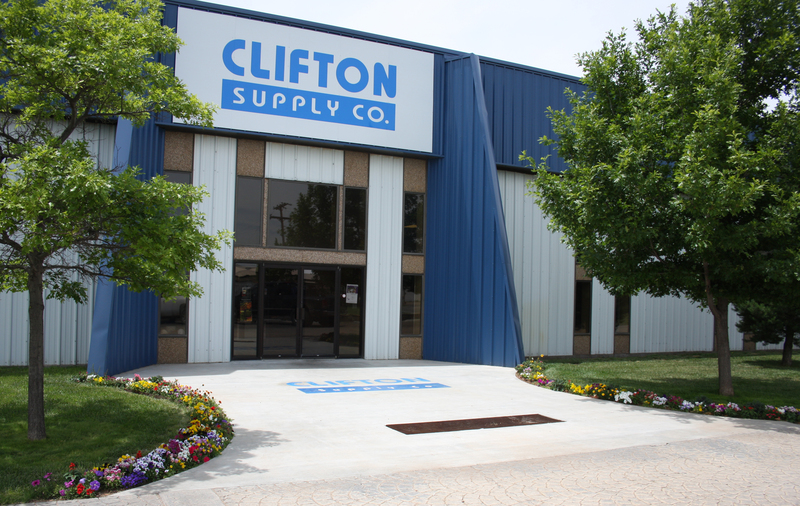 We've been doing business with Clifton Supply Co. since 1994. This is a great company to work with. - Tim Anderson, Anderson & Anderson, Ltd.